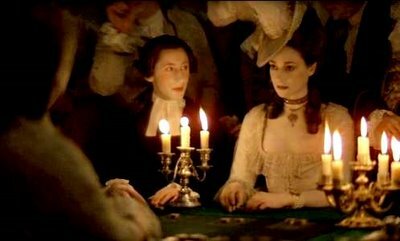 While Dr. Strangelove is Stanley Kubrick’s best film, and 2001: A Space Odyssey is his most ambitious, Barry Lyndon remains his most representative work of art. It might not be the first Kubrick I’d pull off the shelf, but more than any other movie in his staggering body of work, it is the one I would use to explain what the great director means to me and the world of cinema in general. From 2001 on, Kubrick maintained a distinct, unmistakable style (Steadicam, mannered acting, deliberate pacing), but it has never been on more remarkable display than in this largely forgotten masterpiece. And yes, I will use that term because the film is so tightly controlled, so insistent on its vision that, despite the bloodless characters and mechanistic interactions, everything is exactly as Kubrick desired. 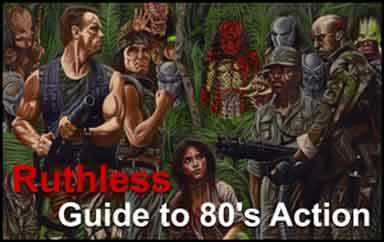 One might not find much by way of entertainment value, at least in the modern conception of the term, but it is impossible to describe as a failed effort a film that unfolds with nothing extraneous to the overall aim. Kubrick devotees, or at least who think of themselves as such, are usually resistant to this film, and just as many have not even heard of it. 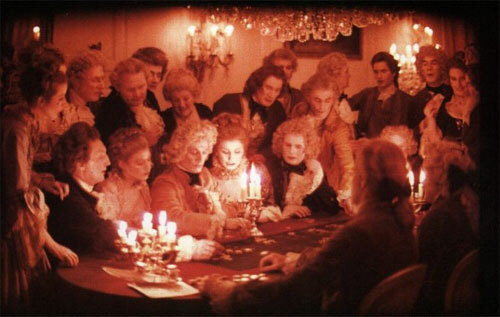 But it would be unjust to underestimate Barry Lyndon; dismissing it as a stale period piece or high-minded attempt to redefine the costume epic.At its most essential, Barry Lyndon is the ultimate expression of Kubrick’s guiding philosophy — the ritualization of behavior and the resulting loss of our humanity. Whereas many directors find comfort in the familiar and strive to reinforce particular values and traditions, Kubrick believes that human history is little more than a series of mindless displays of habit; an inability (and an unwillingness) to act with even a minimal degree of spontaneity. As such, individualism is a battered, largely theoretical concept that is rarely exercised. And when it does manage to push its way forward, it is often a delusion; a last, desperate attempt to resurrect a vitality that has been crushed by creeping homogenization. 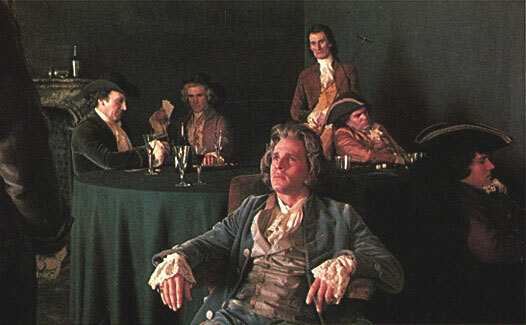 In Barry Lyndon, Redmond Barry (Ryan O’Neal) is, in his own way, a spirited gentleman with his own sense of self, but such individuality is used for nefarious purposes — to seduce a wealthy widow and, without demonstrating one iota of genuine affection, strip her of wealth and dignity. What’s more, Redmond is punished for his transgressions, destined to live out his days in pain and loneliness, as one of the few things his (and our) society will tolerate is a strong-willed sense of self. It takes great courage to ask an audience to sit still for three hours and give them noting but the crushing truth that man is a selfish, vain beast when he’s not conforming to the equally vile dictates of his culture. Kubrick believes that we are left with only those two choices —obedience or destruction. We can’t even be on our own without indictment. Ritualization is most strikingly presented in terms of violence. Take war and the battle scenes Kubrick presents. The participants are simple tools of empire (reinforced by a cynical, all-knowing narrator, who consistently mocks the folly of man) and they march in the manner of robots that long ago lost their purpose. Kubrick tellingly uses the classical method of warfare, which always seemed ridiculously suicidal. 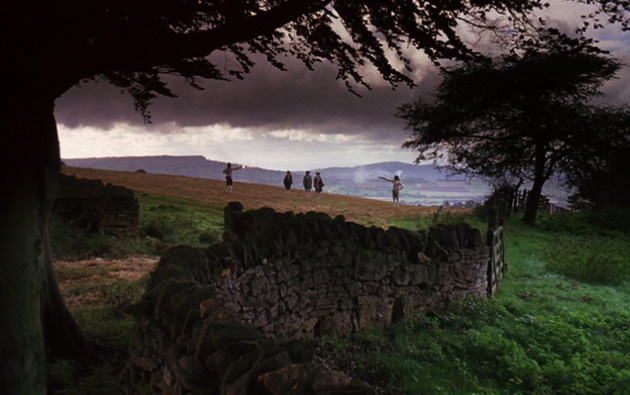 Even though the scene is lush and meticulous (as if we had been taken back to that time and happened to be passing by), men are shot and die before our eyes without consequence. After all, we are ignorant of the cause (as the narrator states, as if a war could be reduced to a tidy “explanation”) and except for Redmond, the soldiers are strangers to us. Even Barry is a ghost, for it is impossible to connect with someone so dull and lacking in basic human values. But this is war as man envisions it: rules, principles, and command decisions that serve a noble purpose. But Kubrick knows better, of course. Because Kubrick withholds information concerning the context of this or any battle, warfare is reduced to what it must be when ritual trumps reason. Men walk, shoot, and die, and whatever it is that guided them was long ago displaced by “duty,” which for Kubrick has become a substitute for whatever it is that makes us human. In such a scene, the only behavior that could approach what Kubrick believes has left us is retreat or a sudden flood of tears. Cowardly to many, yes, but at least at that point one has assessed the situation and found it lacking. But here, they march on. Another example of our gross ritual-fear occurs when Redmond marries Lady Lyndon. The figures themselves are literally dwarfed by their opulent surroundings, and the words of the minister are stiff and excessively formal, as well as cold in their judgment. It is at once apparent that marriage — another ritual that we submit to for no real reason other than it is the accepted turn of events after courtship — is often devoid of true, naked passion and, as in this case, is an arrangement with other, less romantic intentions. 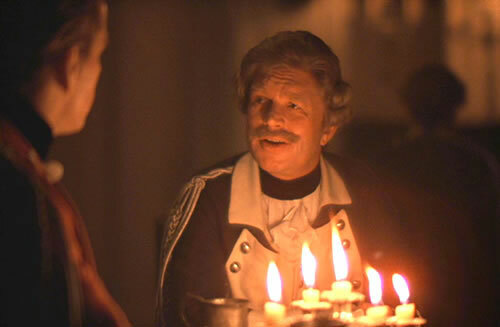 Redmond is a cad who intends to use this marriage as a means to complete his social ambitions, but it stands as Kubrick’s overall attitude about behavior without real risk. The wedding and resulting relationship is less a friendship and more of an alliance, albeit one where only one member seems to benefit. This speaks to a common criticism of the film related to the set design. The images are so breathtaking, some have argued, that the result is not so much a film as a picture book. Even Pauline Kael dismissed what she saw as akin to a museum tour, although one where we must push aside cobwebs and fight the dust of inattention. But that is Kubrick’s brutal misanthropic mission. The architecture, the art, and the countryside must dominate because our petty concerns simply cannot measure up. Moreover, it becomes a delicious irony that our man-made surroundings become more important than the humans who inhabit them, as we are simply too blind to appreciate our efforts. Finally, though, the authenticity of the period re-creation must receive comment, for this is one of the few instances in which the modern mind can genuinely appreciate the past. These are not actors from 1975 putting on fine clothing and running about; these are the lives and times of those as they lived then, in a world of deliberation, patience, and distance (and natural light, thanks to a special lens designed by Kubrick himself). Men might move in a sluggish manner, but where must they go? That is not to say that there was little sense of urgency (after all, life was usually nasty, brutish, and short), but a sense of time would have few corollaries to today. Perhaps (in reference to a particular scene that will receive an immediate nod from those familiar with the film) it makes little sense to us for a man to take nearly ten minutes to approach and seduce a woman on a terrace (could we imagine anything else but a quick swoop, a crude remark, and immediate slobbering? ), but such a scene evolves from the carefully observed niceties that once governed public behavior. We have lost all sense of a public/private split in our own time, but it was once maintained with a stubborn furor. But, as stated, the costs were plenty as few could interact with authenticity and while the rules were being consulted, life passed them by. within our grasp, but they are perpetually postponed, giving way to our all-too-human requirement for security. So we have a film where the beautiful music, the sets, the costumes, the architecture, the make-up (used to cover up dirt, not enhance beauty, as Kubrick realizes), and the choreographed action sequences all matter, but the people themselves do not. And for once, that is intentional. It is merely to demonstrate that while we may dress up our surroundings and sing the songs of virtue, the state of man is rotting under the surface. “As flies to wanton boys are we to the gods, they kill us for their sport.” Or we to Kubrick.